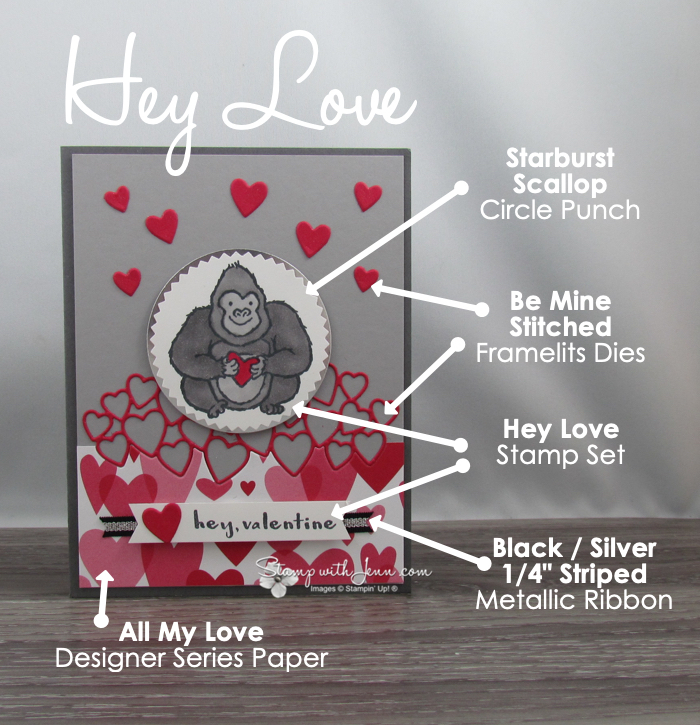 The Hey Love Stamp set has some adorable Valentine’s stamps in it with cute little puns and sayings for Valentine’s day. 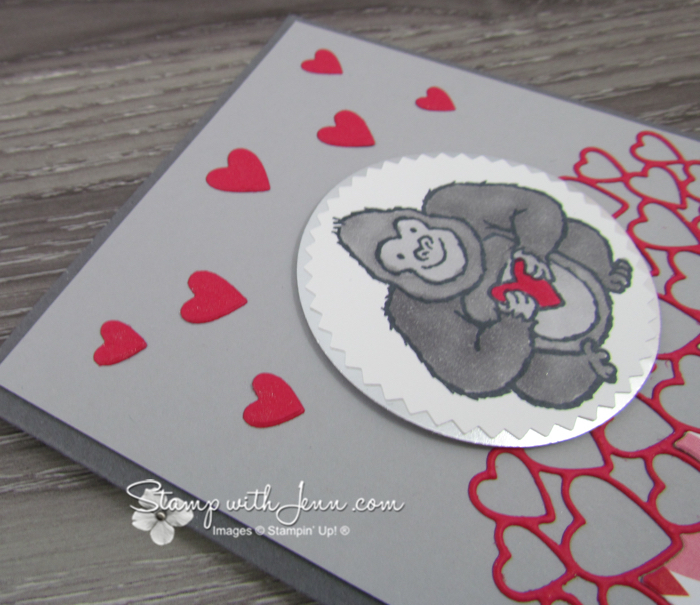 This little Valentine ape is so sweet and there is also a saying “I’m ape over you” that would work on this card. I got this card as part of a demonstrator card swap and I love it it. 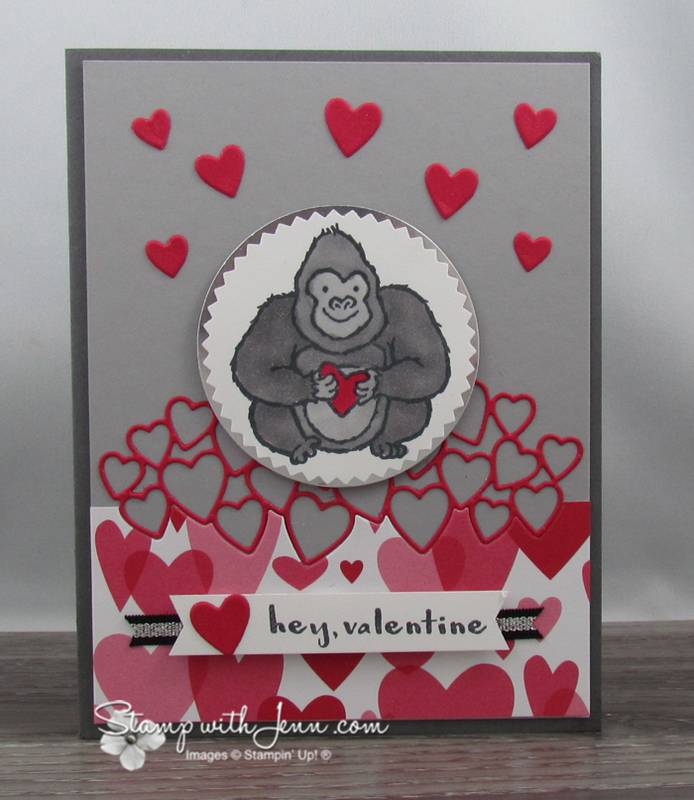 It was made by Leena Girsa from Cambridge, ON and I love how she fit the heart dies right into the heart paper. And then she used the left over pieces from the die cutting to add to the top of the card. And then there is Wink of Stella over top of all the hearts (hard to see in the picture). 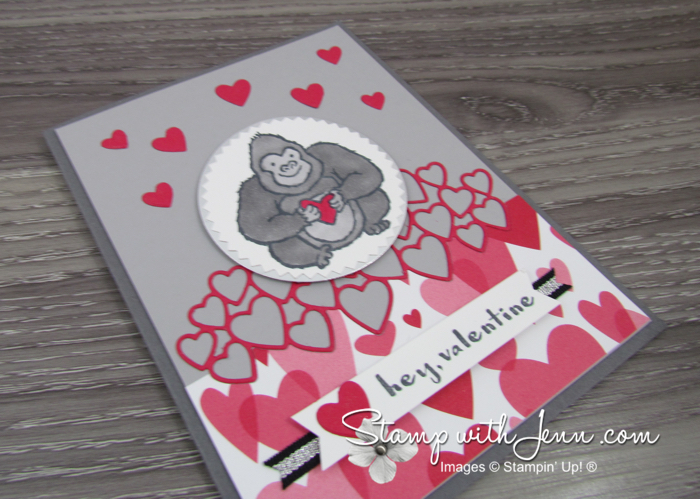 Super cute card and would be perfect to give to a special someone for Valentine’s day! 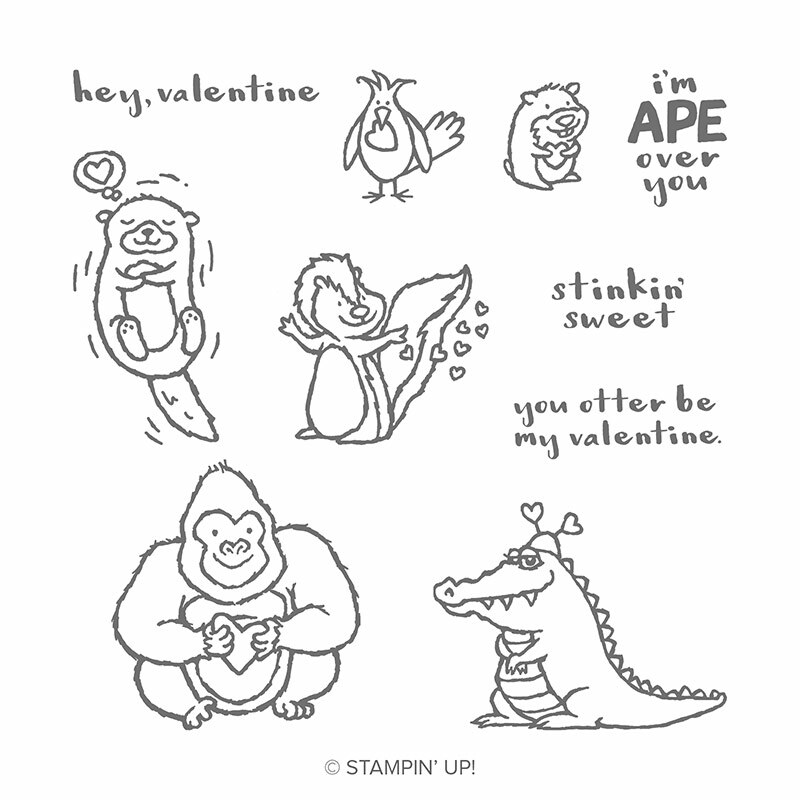 The ape was coloured with Stampi’ Up! Blends Alchohol markers. You can see the complete list of supplies used on this Valentine’s Day card at the end of this post. Just click on any of the product images to shop for them in my online store. You still have time to shop for Valentine’s day products. It takes about 8-10 days for an order to arrive in Canada. So you would want to order in the next week. 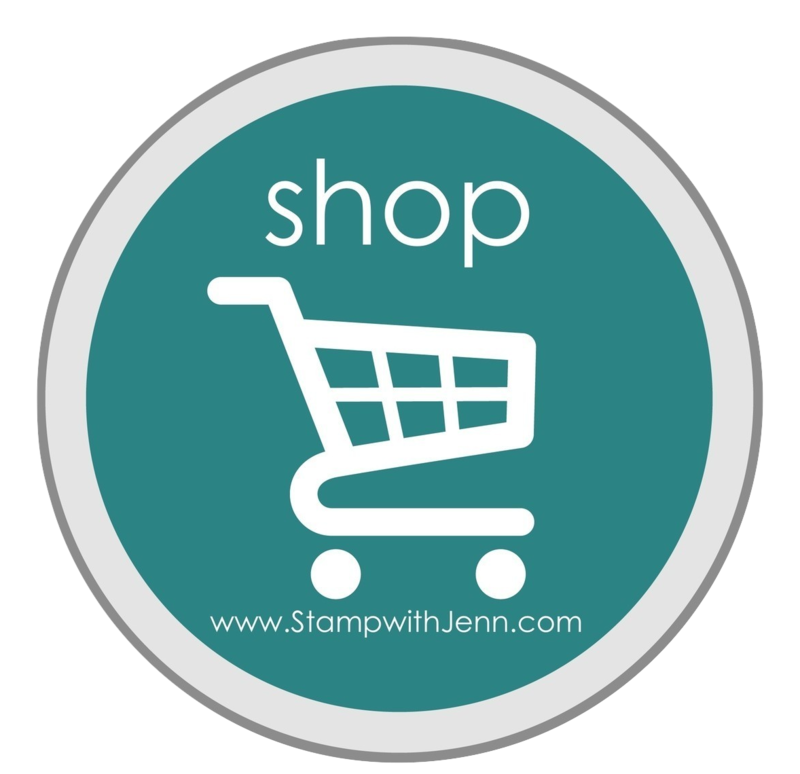 I’ve posted two other Valentine’s Day cards using the Hey Love stamp set on my website at www.stampwithjenn.com. You can see those Valentine’s day cards here and here.